This event goes on sale to Members on Wed 17 Apr at 10:00am. Fascinating subjects and mind-blowing research presented live on stage in bite size, three-minute talks – this is science geekery galore! 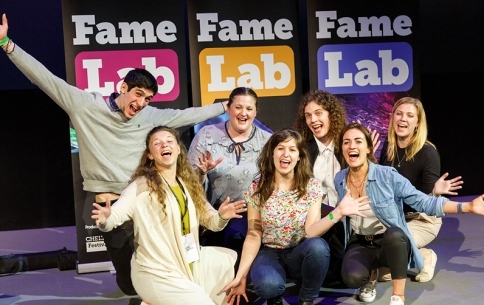 Fighting for a coveted spot in the FameLab International Semi-Finals, our UK finalists will break down complex science in a unique and entertaining way. Judged on content, clarity and charisma, expect a science showdown of unseen magnitude. Hosted by Quentin Cooper.